Ichiro Suzuki fashioned 10 straight 200 hit campaigns to start his career (2001 – 2010), tying Pete Rose for the most 200 Hit seasons ALL-Time, and setting the most consecutive years with the feat. He may only be a .270 – .280 hitter now as a 4th OF, but he still plays decent defense, and makes nice contact. Suzuki is about a full season of AB’s away from setting the professional hits record. He is a Free Agent after this year, and at 40, he may have a few campaigns left to offer a club. His 2841 Career Hits come during what will end in 2014, as his 14th year only in the MLB. 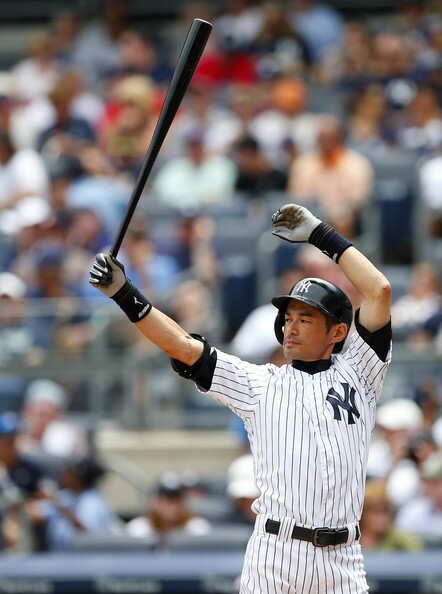 He is not receiving the kind of fanfare that Derek Jeter is this year, (although maybe he would if he was retiring too and had announced it), by Ichiro Suzuki has put forth a decent year in 2014. His .284/.323/.338 Slash Line is not something to write home about, but he is a nice 3A Outfielder on a club that has seen its fair share of injuries. Heading into the last 4 games of the year, the 10 time 200 hit man, has 99 hits on the season, thus giving him 2841 Hits in his MLB Lifetime.